Sleep is essential! These flannel sheets are the beddings for your healthy lifestyle. They have an ultimate softness, warmth and elegant as well, that can keep you cozy on chilly nights and offers overall comfort while asleep. Choose the set that fits your mattress size and complements to your bedroom! 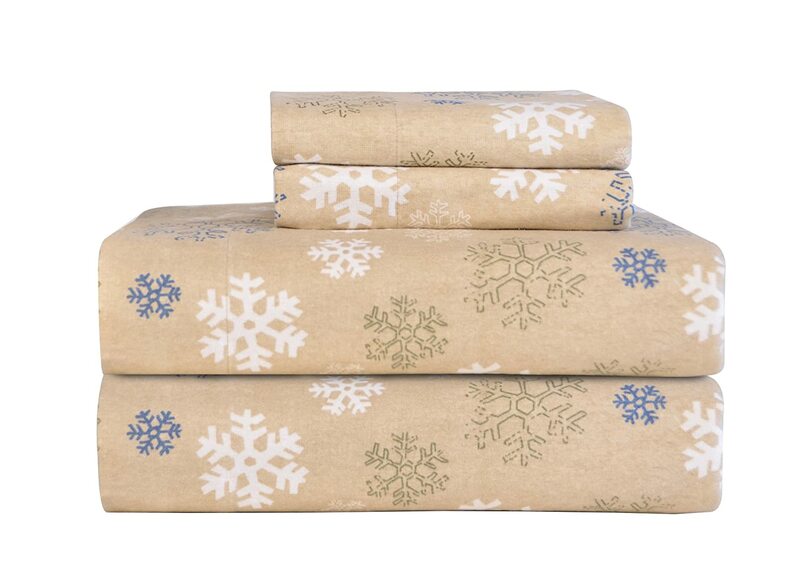 This set of flannel sheets fits mattress up to 17 inches deep. It comes with a range of muted wintry colors to keep the warmth during the cold season. It is 180 grams and 100% cotton that is soft, cozy, lightweight, gentle and breathable. It includes 1 fitted sheet, 1 flat sheet, and 2 pillowcases. Plus, it is stain- and shrink-resistant and offers 30 days for full refunds on items returned! 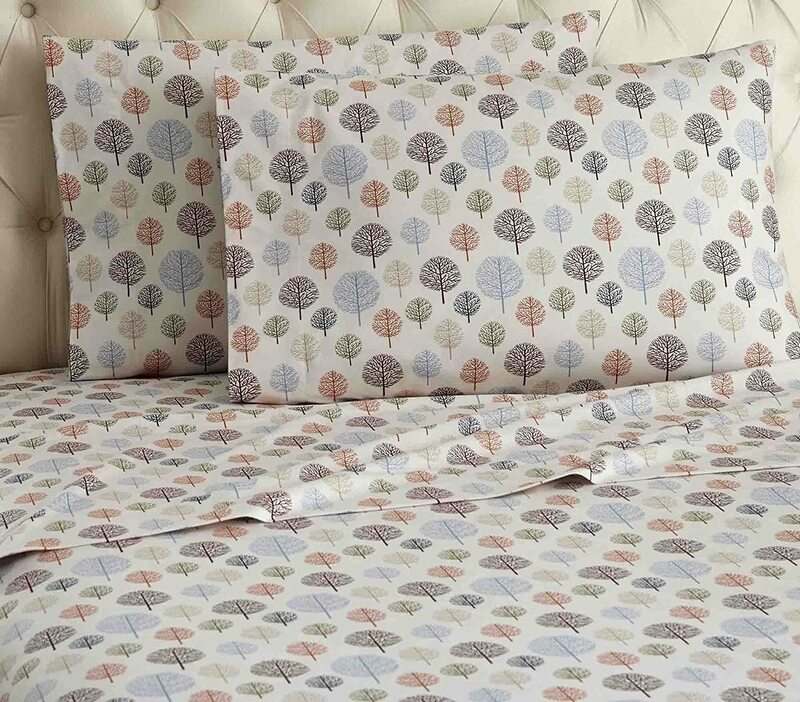 This set of flannel sheets is made of 100% polyester with a cool design. It is a fast-drying material to save energy and ensures easy care. It features the high-quality of fleece without the bulk or weight. It does not shrink, it is anti-pill and its microfiber resists wrinkles. It can help maintain the consistent body temperature though it is not great for winter. 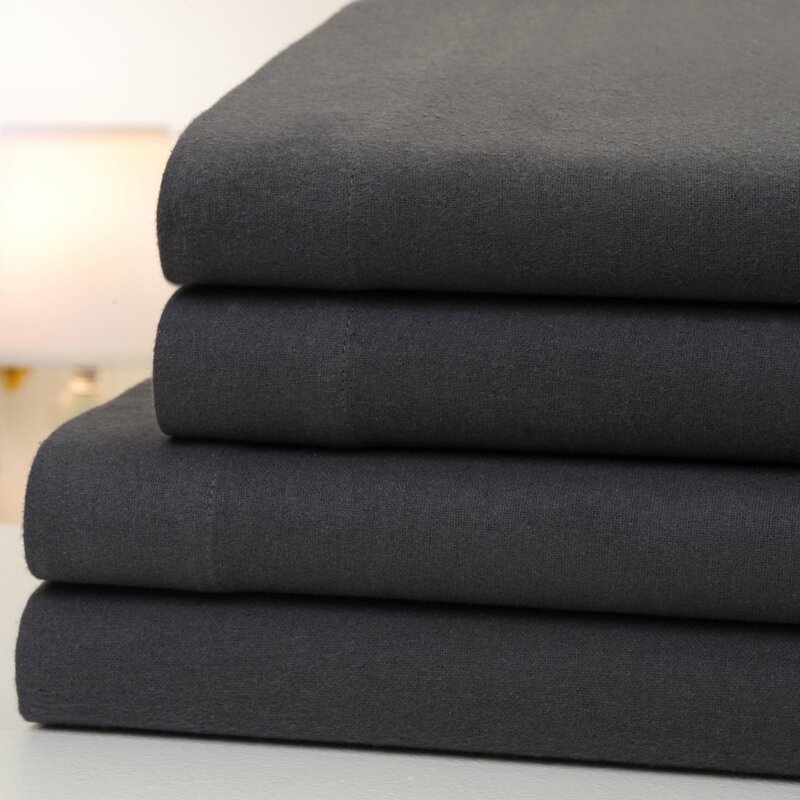 This set of flannel sheets weighs 160 grams which makes it light and breathable. Its material is 100% cotton and is made in Portugal. It has a double-napped finish on both sides and hem designs on the pillowcases and flat sheets. Its fitted sheet measures 60 x 80 inches and fits mattresses up to 16 inches deep, flat sheet measures 87 x 105 inches, and pillowcases measure 20 x 31 inches. Plus, it is a budget-friendly flannel sheet and comes in a variety of colors! 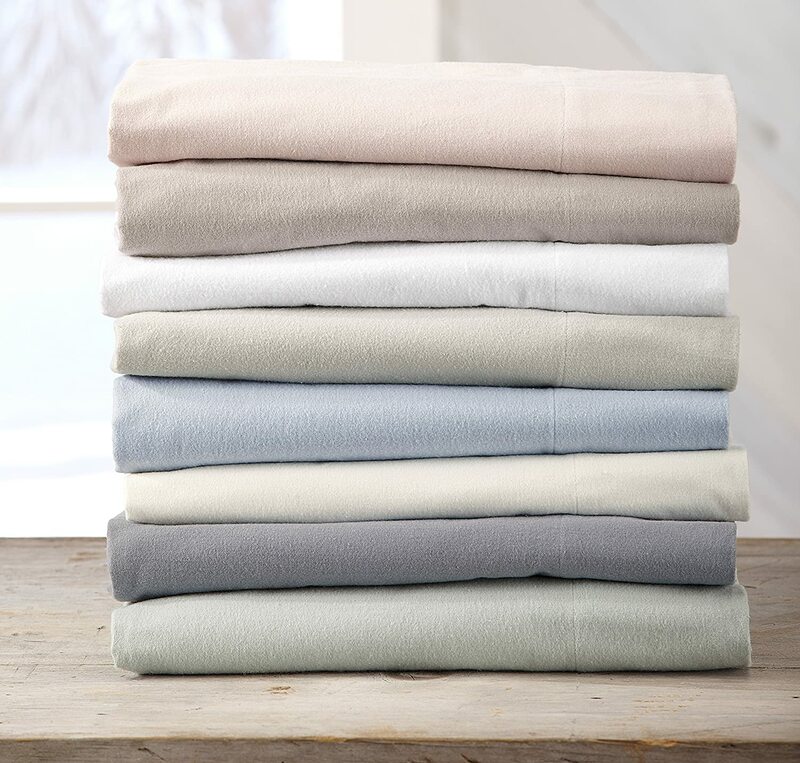 This set of flannel sheets is made of 100% high-end cotton fiber. 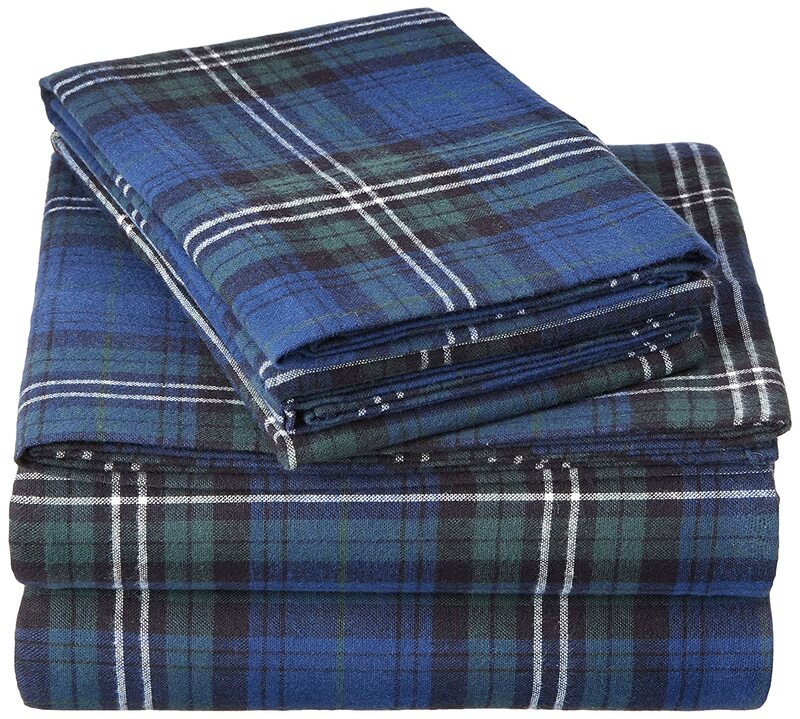 Its flannel weighs 170 grams, making it softly warm to use during camps or sleepovers. Its fitted sheet fits mattresses up to 16″, flat sheet 81 x 96 inches, and 2 pillowcases 20 x 30 inches. 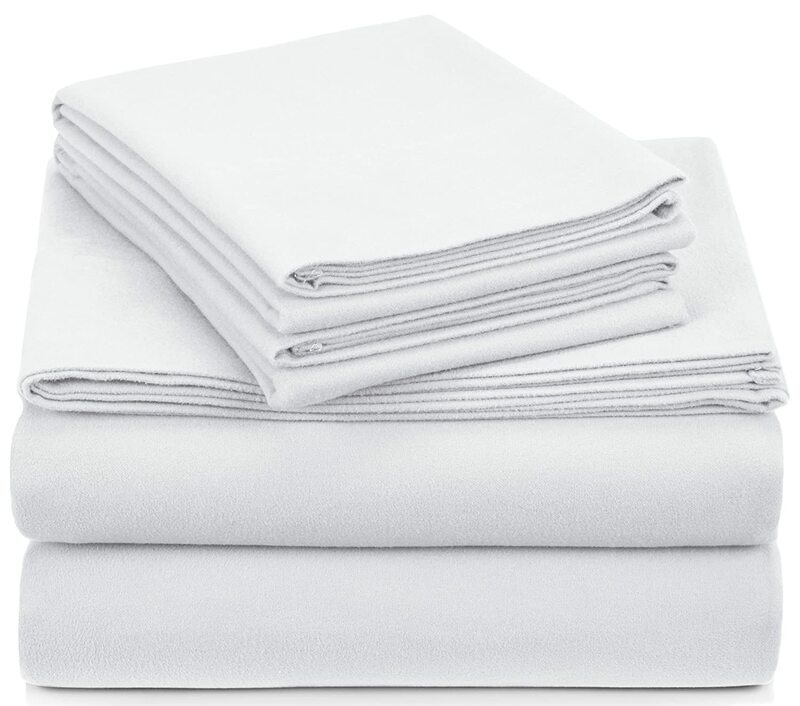 It is fade-, stain-, shed- and wrinkle-resistant so you can get soft sheets with every wash. Plus, you can simply e-mail and receive a 100% money-back refund if you are not satisfied with the product! This set of flannel sheets will give you extra warmth with its thickly-woven fabric comes printed with several different design options. It is 100% cotton and weighs 170 grams. It perfectly fits nearly any bed size. Its flat sheet is 108″ by 104″, the fitted sheet is 78″ by 80″ that fits mattresses up to 16 deep, and pillowcases are both 21″ by 41″. Plus, it is long-lasting and durable! 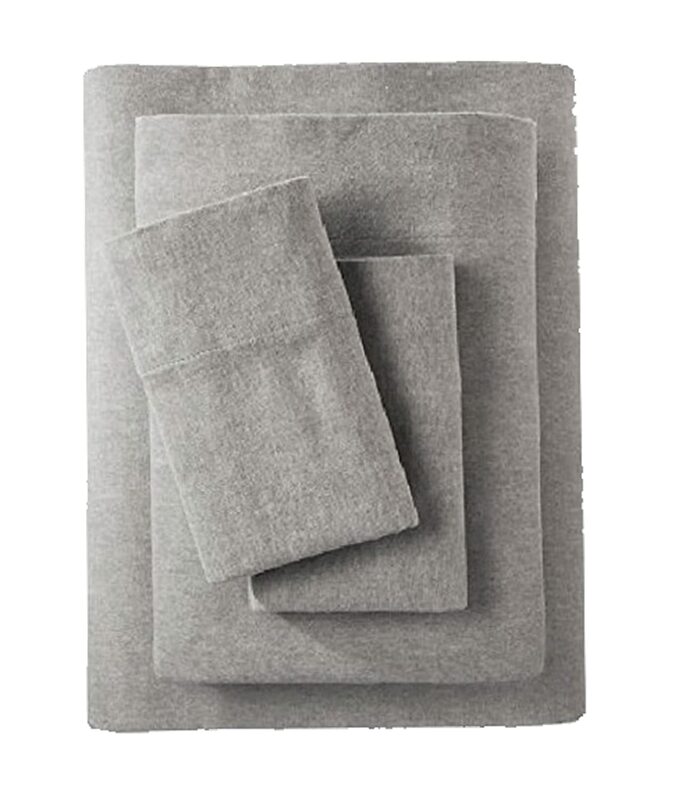 This set of flannel sheets is also 100%cotton with a flat sheet that is 108 in. x 102 in., the fitted sheet is 72 in. x 84 in. x 13 in. and its two king pillowcases are 20 in. x 40 in. This set has a smooth and neat look that is great for every room in the house. Its stitching is of good quality for its durability. This is perfect for those chilly winter season that gives an extra warmth while you sleep. Plus, it comes at a very affordable price that beats others! This set weighs 190 grams that went through a combing process that makes it strong and compact for durability that made it to the top of our list for the best flannel sheets you can buy. It includes flat sheet, fitted sheet, and 2 king-size pillowcases. It is 100% cotton and made in Portugal. It is measured by ounces, not thread count, so the final product is breathable and velvety. Plus, it is certified safe and high-quality!